Why start an on-site Yoga program? Practicing Yoga together is a great way to build camaraderie and community within the workplace. Practicing Yoga has been shown to promote positive mood, reduce stress, improve sleep patterns, reduce anxiety, increase alertness, and increase energy levels. All of this sums up to a great investment not just into the health of your employees, but the health of your business. What is the process to start a workplace Yoga program? First, it is important to get some input from your company employees to gauge interest in having Yoga offered, to see what the pre-conceived notions of Yoga are, and to see how the company culture would mesh with offering Yoga. 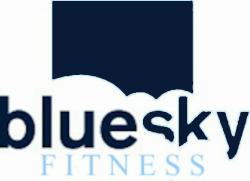 If you feel after due diligence it worth exploring further, contact our expert BlueSky On-Site Yoga Coordinators who will schedule a time to come in to analyze the company work environment to get an idea of company culture. After this initial tour of the company, the BlueSky On-Site Yoga Coordinators will work with you to coordinate a proper space, day of the week, and time of day to practice Yoga. Then, schedule a lunch and learn to provide potential participants a more clear picture of the benefits of practicing Yoga and this particular on-site program. After this time, implement the program and have individuals sign up! Where will we practice? This is going to vary from workplace to workplace. A large conference room would be the most ideal option, however anywhere that can provide ample open space (and proper air circulation) for the entire group will suffice. This could be a break room, a large office, an infrequently visited hallway, a company gym, a cafeteria, or outside on a nice day. Participants bring their own mats to the classes. It is important that outside noise can be kept to a minimum in order to better ensure inner focus and maximize the benefits of the practice. Depending on available space, you may want to offer several smaller classes. When should we have the Yoga classes? On-site classes generally happen once a week. Classes can be before work or at the start of the day, at lunch-time or at the end of the work day. This particular day of practice and the time of day the practice takes place is going to vary from location to location and best options should be discussed with your BlueSky On-Site Yoga Coordinator. Before starting the class it is good to get feedback from employees on this. Classes can be 45 or 60 minutes long.